On this page you will find a number of musicians, writers and artists who help and have helped our foundation. A show by the band Brixx guarantees a spectacular party. 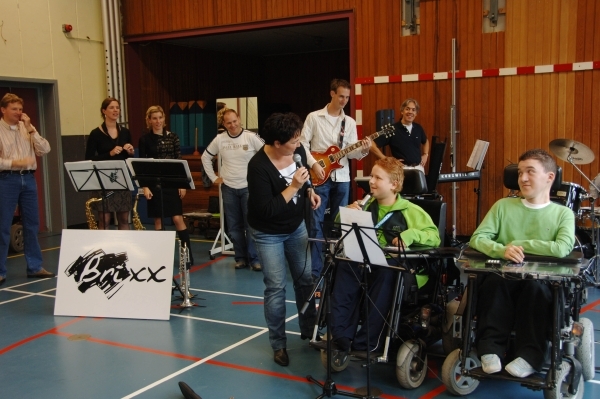 The cover and party band Brixx has performed twice with our students giving their time and performance free but that is not all we received during these two unforgettable parties they also presented us with two beautiful gifts. “Brixx invites you, as an organization or individual, the next time you have a business or private party in addition to a great evening’s entertainment to directly contribute to a charity. By doing this you make it possible for Brixx to act for groups in our society that have little money, and help us to support a worthy cause, volunteer organizations, institutions for physically or mentally handicapped or foundations that do something special for the less fortunate in our society. We also act during social occasions when money is collected for charity.” Members of the Brixx we thank you. 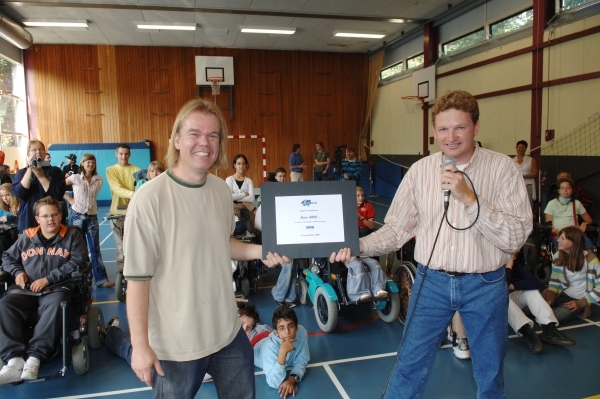 Ebred Reijnen is a big fan of our foundation. He visits students of My Breath My Music at home so our participants can give a real home concert for the rest of their family. Ebred is a violinist with the Rotterdam Philharmonic Orchestra and has worked with: – Rob de Nijs – Rene Froger – Ellen ten Damme – After for Ever – Mat Matthews – Johan Hoogenboom – Trijntje Oosterhuis – Krezip – Fredericke Spigt – Jos Valster Jazzquintet – Baillante Tango sextet – Youchka Gipsy Quintet – Amina Figarova – Bart Platteau – Freek de Jonge – de Nits. Pjotr Jurtschenko is a jazz musician. He plays in the jazz band Demeter and in the blues bands, Crusade and Friends, he can also be heard in the Big Band Enterprise from Dordrecht. He plays many different wind instruments and has an incredible knowledge of jazz and improvisation. Pjotr regularly gives workshops to our participants. Ray Nicov is a jazz pianist. He has a web site jazz piano tracks. Here you can download tracks to play improvisations. 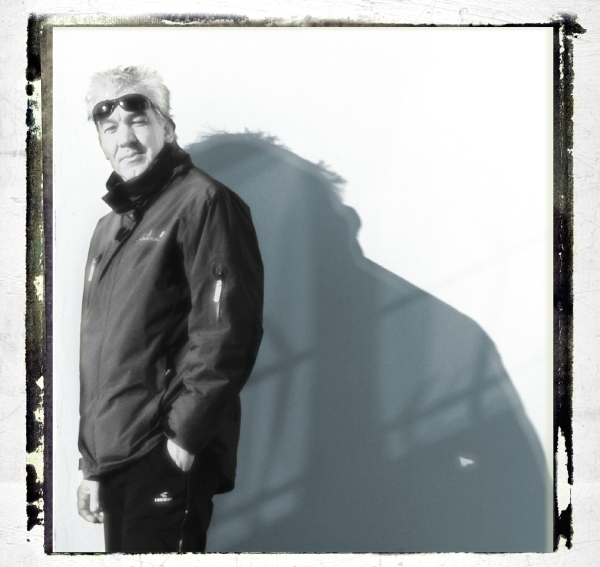 Ray has made a number of tracks available to our foundation. As a bonus, he has made a song especially for us all. “My Breath”. Ron Hiles is a writer. He lives in England. He is a big fan of our foundation, a fan from the first hour and for life. Ron makes sure that the English version of this website is 100% correct. 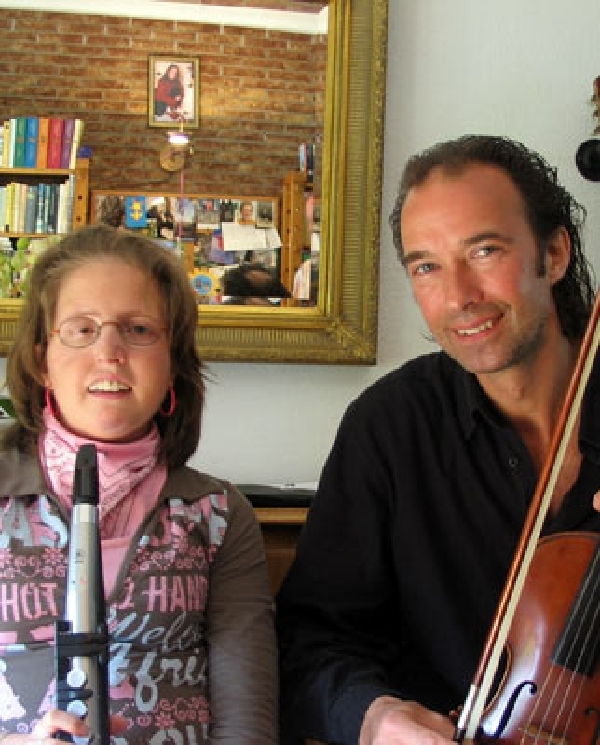 I first met Ruud van der Wel almost six years ago when he contacted me out of the blue to help him help a mutual friend we had that was living in Holland at the time. From Day-1 I could tell by the way he worded his request to me that he was an honourable man. Between us we did manage to help our friend at that time, and thereafter started to get to know each other better. I am a Writer and Poet, now, and have been for several years, but when I was thirty one I was an Electrical Engineer who’d worked all over the world and an expert skydiver who’d jumped all over the world. I had a car accident in 1987 and broke my neck in three places and my back in a further two. I almost died. From that day I’ve been confined to a wheelchair. Hence the new career as a writer. I was really lucky the day I met Ruud. He told me about what he was trying to do with My Breath My Music and asked me if I’d like to help him translate his first website from Dutch into English. I loved what he was trying to do with the kids so much that I felt honoured to be associated with such a beautiful dream. I worked with Ruud on that first site, his second site, and now this one. It’s fabulous working with Ruud. 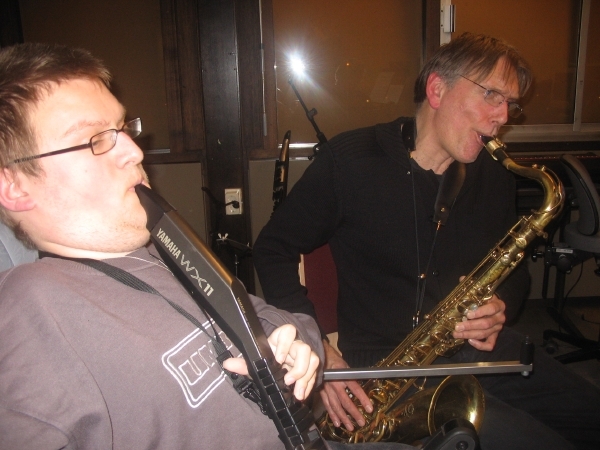 He also introduced me to his lifelong friend Paul Oomen, another musician and big supporter of My Breath My Music. In less than three months of meeting Paul, we had put together an album of my poetry set to Paul’s music, which we sell on behalf of My Breath My Music. 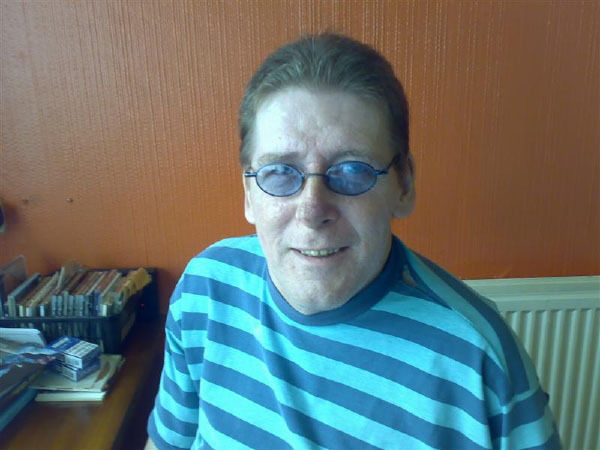 I’ve done some fabulous jobs in my time, before and after the coming of my wheelchair, but being associated with My Breath My Music makes me feel very lucky indeed. The following members of the Yahoo wind controller group helped us with the German and English translations of this website: – Ingo Debus, Mike Fabish, Philip van Galen, Jim Hanks, Sebastian Salentin, Rob Sutton, Martin Thompson, Brian Walker. Thank you all, many hands make light work!